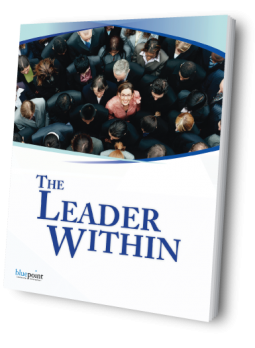 The Leader Within workshop takes participants on a deep journey where they will learn to tap into the enormous power of their emotions and moods and, as a result, create better leadership connections and exert more positive influence. Intense training that will significantly accelerate the development of leaders. Through the course of the workshop, participants will discover how Leadership Emotional Intelligence is the primary determinant of a leader’s ability to effectively influence others. They will learn to recognize their own emotions in a wide variety of interpersonal circumstances, respond to these emotions in ways that enhance their leadership, become aware of the emotions of others, and be a positive, energizing force within their organization. Want to find out more about The Leader Within?